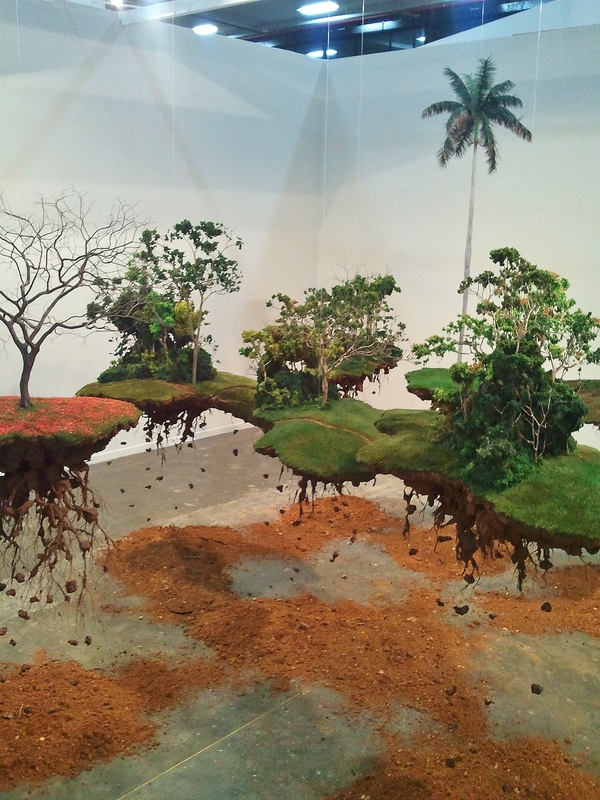 I took a quick look at the Sao Paulo art fair sp-arte / 2013 in a previous post. 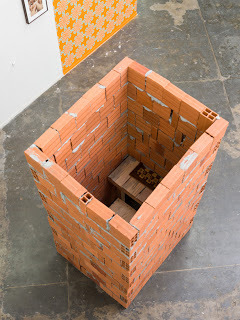 https://brasilart.org/2013/04/07/sp-arte-2013/ It’s held in alternate years to the Sao Paulo Bienal, in the Bienal building. I was struck by how good an opportunity sp-arte / 2013 provided to see some of the best ‘Western’ art alongside the output of Latin American practitioners. The galleries and dealers – this is very much a selling show – showed museum-quality pieces by well-known European and North American artists. 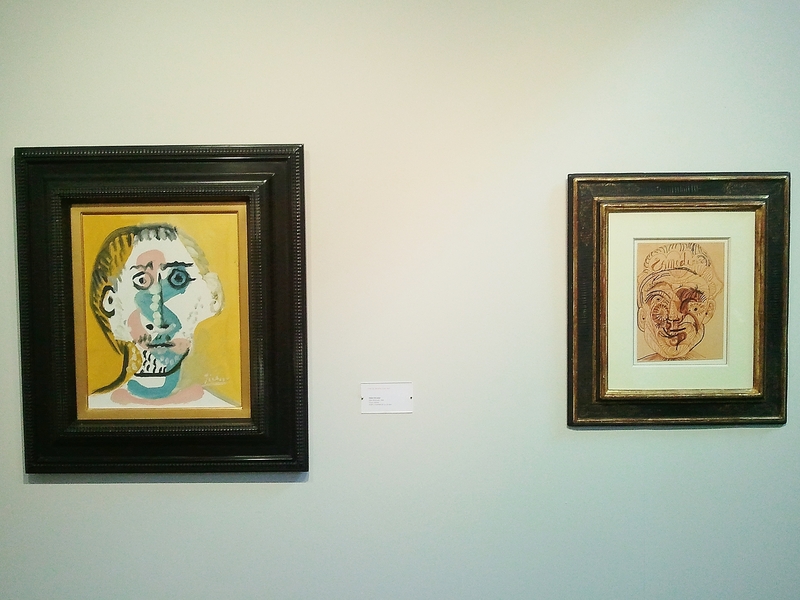 Picasso and Dali are hung casually side by side. 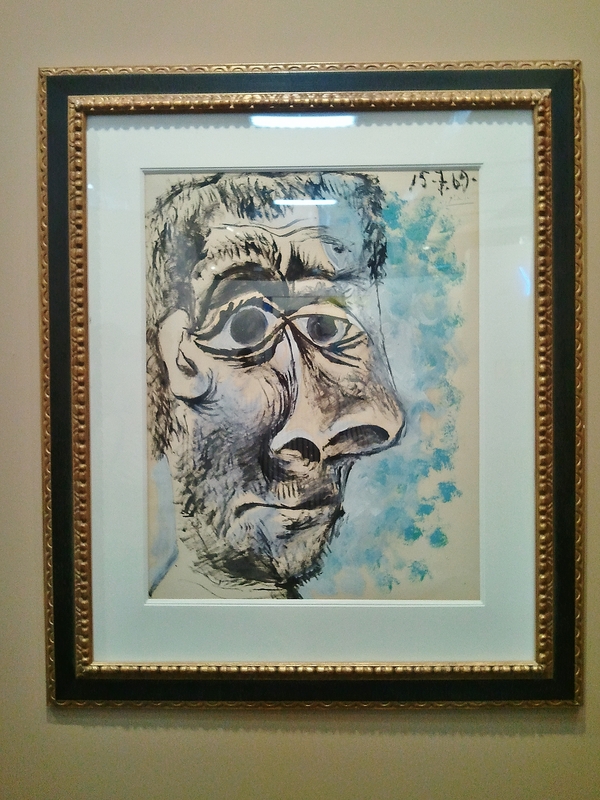 Picasso even looked a little over-exposed. 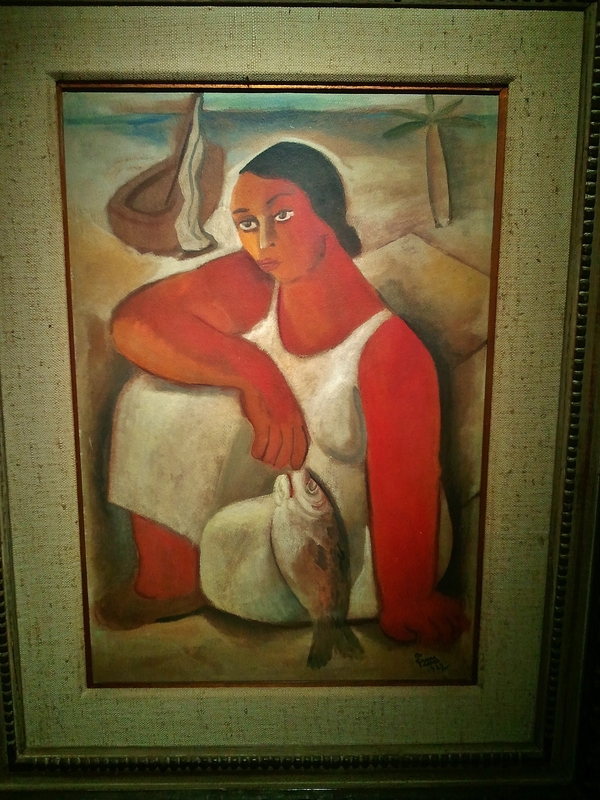 It’s a measure of how much interest there may be in Brazil in the Western high art tradition. 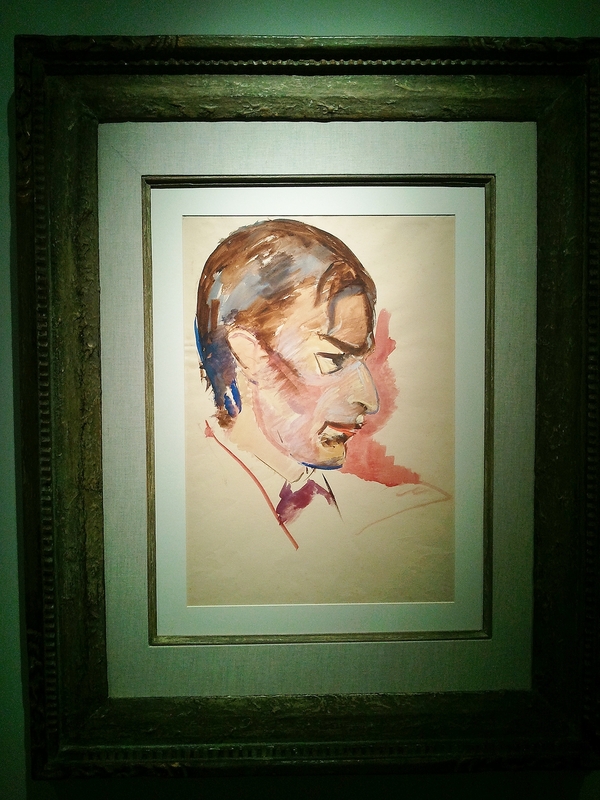 His work fits comfortably into the European canon – its subject matter, its modes and its Expressionist style are all familiar in the West. 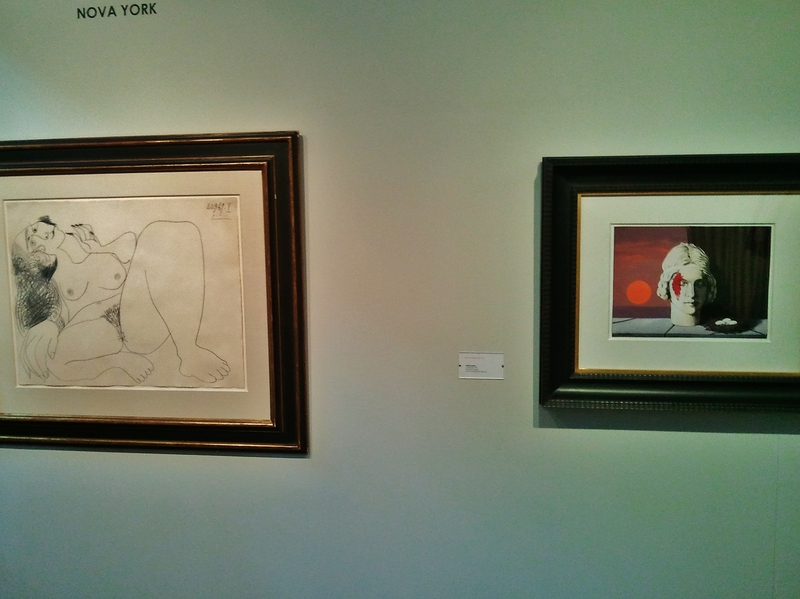 … standing comparison with the best on show at sp-arte / 2013. 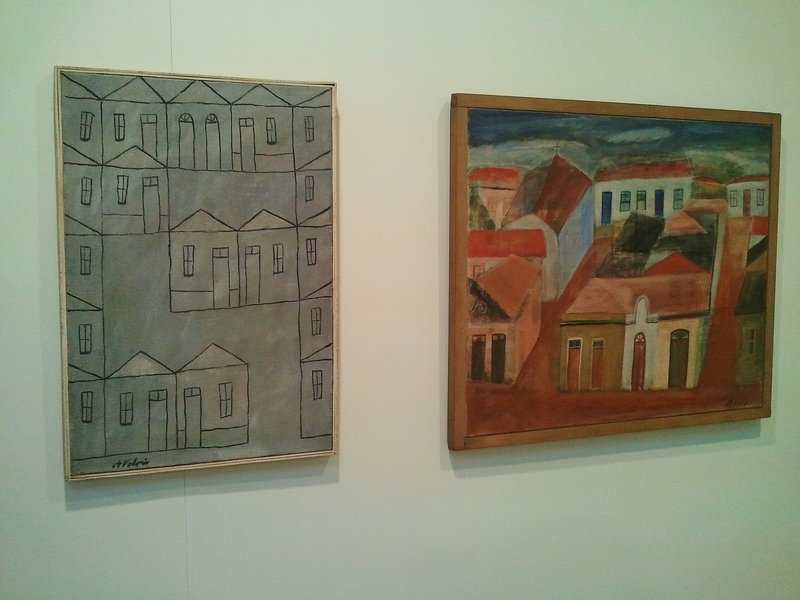 – the work here was more comfortable viewing than the Brazilian subject matter he usually favoured – favelas, Rio prostitutes, and plantations, as well as Brazilian landscapes and the Brazilian people. 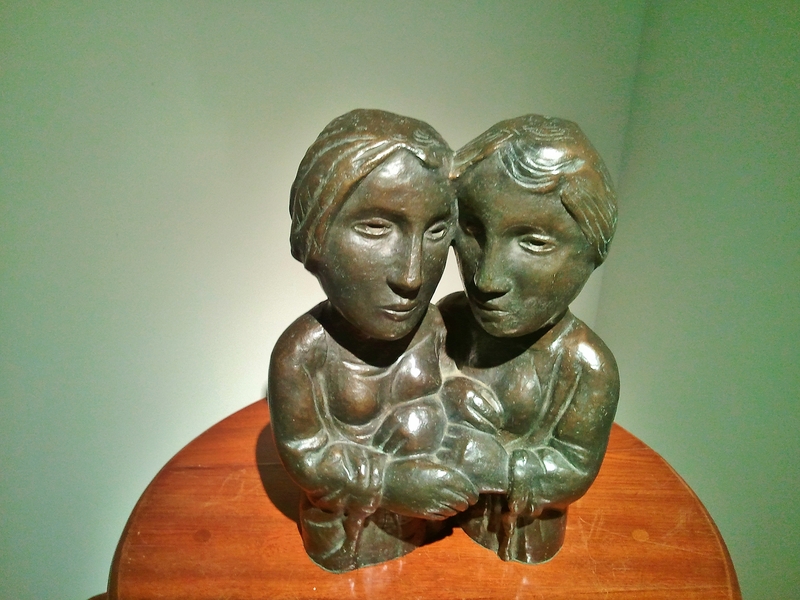 Bronze seems remarkably quaint alongside the materials used in today’s sculpture. 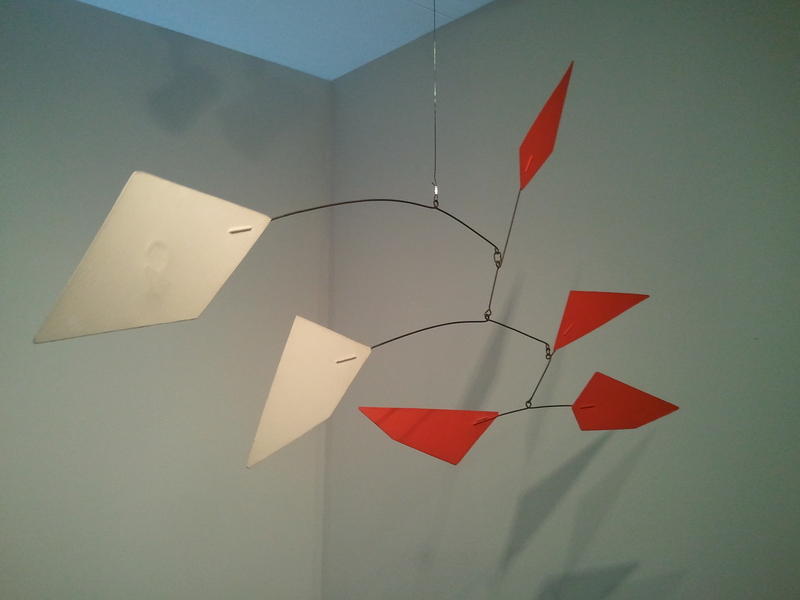 The Alexander Calder ‘mobile’, once so radical, has aged gracefully into an elegant classic, with a price tag to match. I did see a pale imitation of his form – a series of suspended wire horizontals, but no ‘vanes’ and no colour – but the work above brought a new meaning to suspended form, and was a real crowd-pleaser. People clustered around it, taking photographs, as everyone does these days. The material of this US work – decommissioned fire hose – yielded something between painting and sculpture, evoking fire hydrants amid hot New York summers. 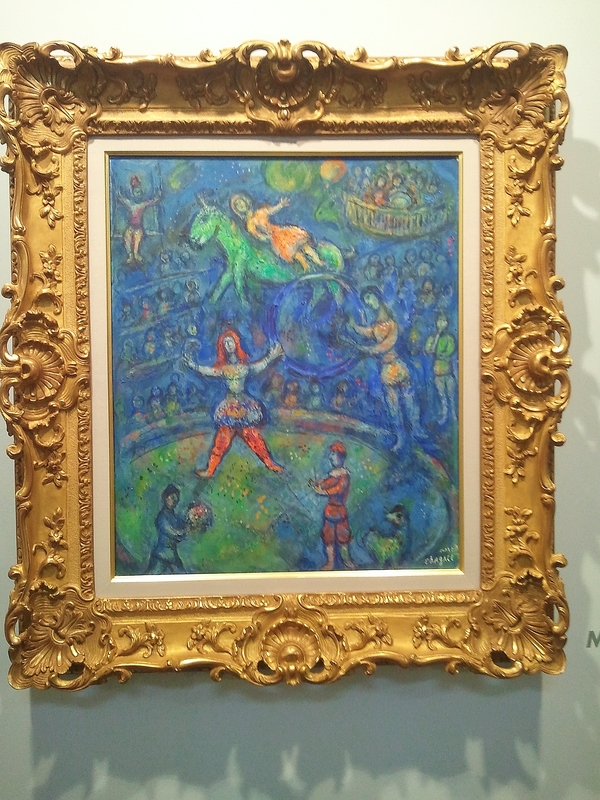 Another iconic European artist, Marc Chagall, took me back to more innocent and traditional subjects. His work raises strong echoes in Brazil, where the naive approach is alive and well http://theproverbial.org/2012/08/26/arte-naif-rio/ Naive art and indeed street art – graffiti, murals, posters – flourish here, so it was intriguing to see that there is also a fine art naif strand. 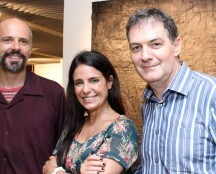 Brazilian Milton Dacosta was well-represented at sp arte / 2013. 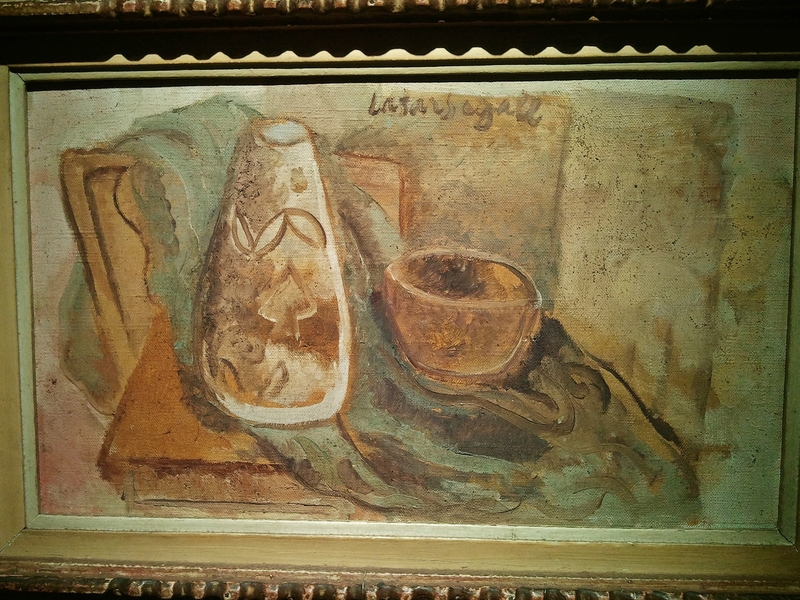 Like Segall, he had one foot in European fine art practice – he worked with Braque and Rouault in Paris in 1946 – and was influenced by Cubism in his progress from figurative to geometric and concrete styles. He was an exhibiting artist in Brazil’s first stand at the Venice Biennale in 1950, alongside Brecheret and Brazilian great Roberto Burle Marx. 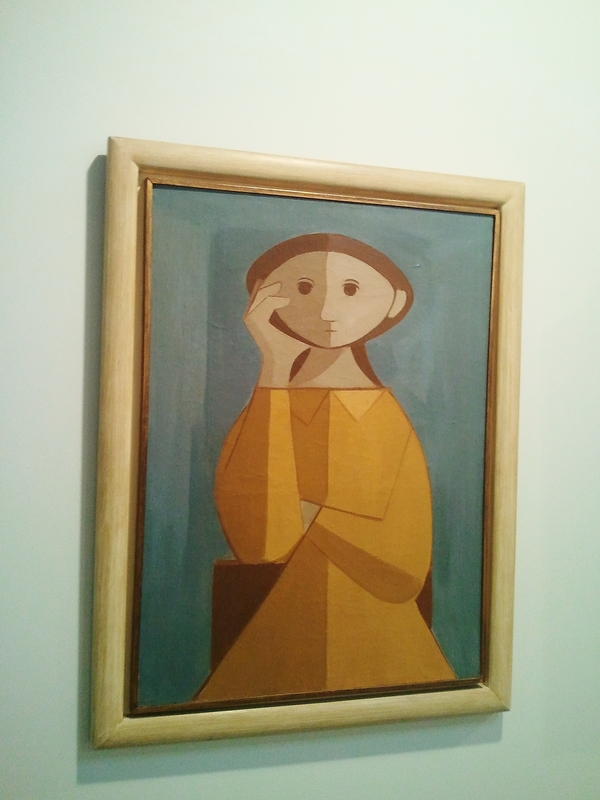 The typically simplfied geometric female figure above references Cubism. Alfredo Volpi is another modernist well-known in Brazil for his simple style. His subject matter during the 1950s was domestic architecture, especially the facades of houses, developing and refining a signature shape from the rooflines into a ‘pennant’ which has resonance in Brazil as the shape of the festive flags of the June holiday season, the Festa Junina. The cityscape view above over the rooftops of houses echoes that shape in their gable ends, further stylised in the accompanying drawing. 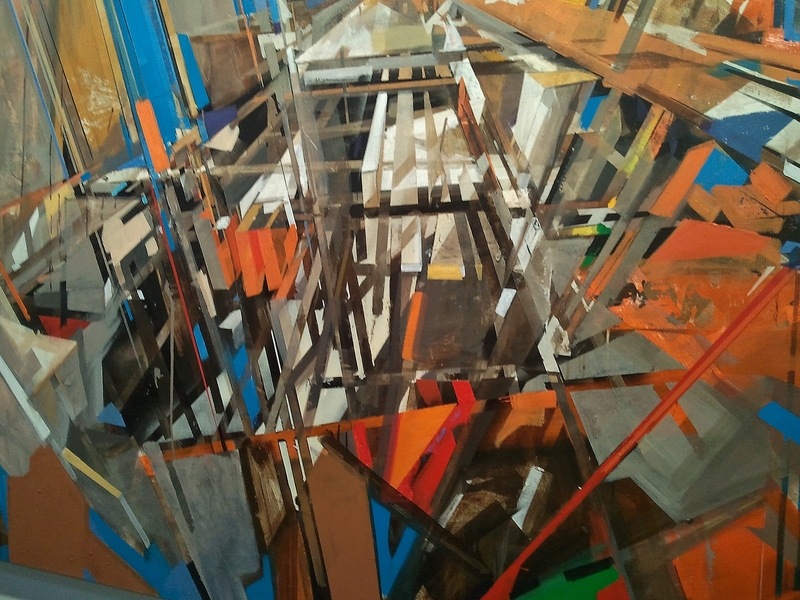 Rafael Vicente paints semi-abstract canvases which evoke the Brazilian cityscape and waterfront, crammed with horizontals and verticals, always under (re)construction. He works on an appropriately large scale, and includes materials like asphalt and iron as well as paint. A daring use of colour and perspective enhances its impact. Raimundo Rodrigues is daring in quite another way. He collects and repurposes what others abandon or throw out. 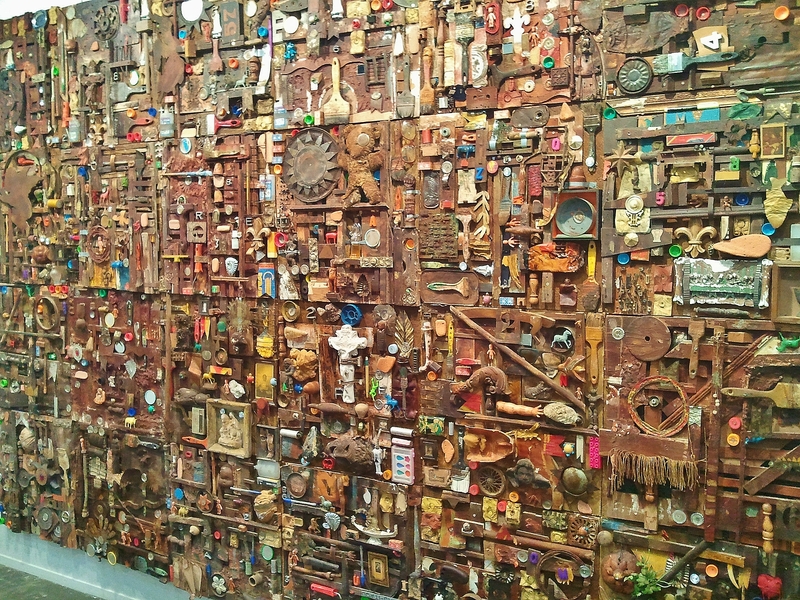 Mounted on large panels, he makes a mythic panorama from pieces of packaging, machine parts, hand tools, children’s toys, mirrors, and miscellaneous detritus, joined and unified with scrap wood. Children take particular pleasure in looking closely at this playful ongoing work, though the reference to art works such as the Merzbau of Kurt Schwitters and the complex accretion of images in the work of Hieronymus Bosch is also clear. 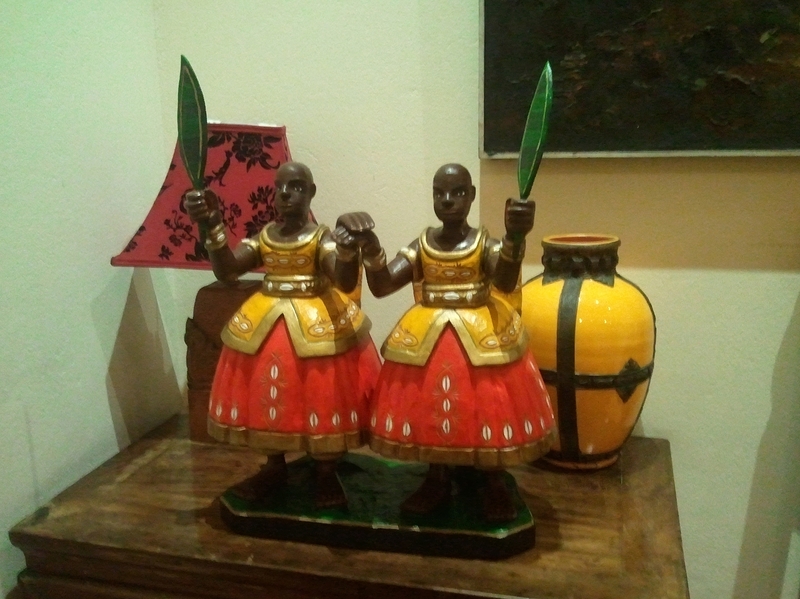 José Bechara exhibits in the US, Spain and Portugal as well as very widely in Brazil. 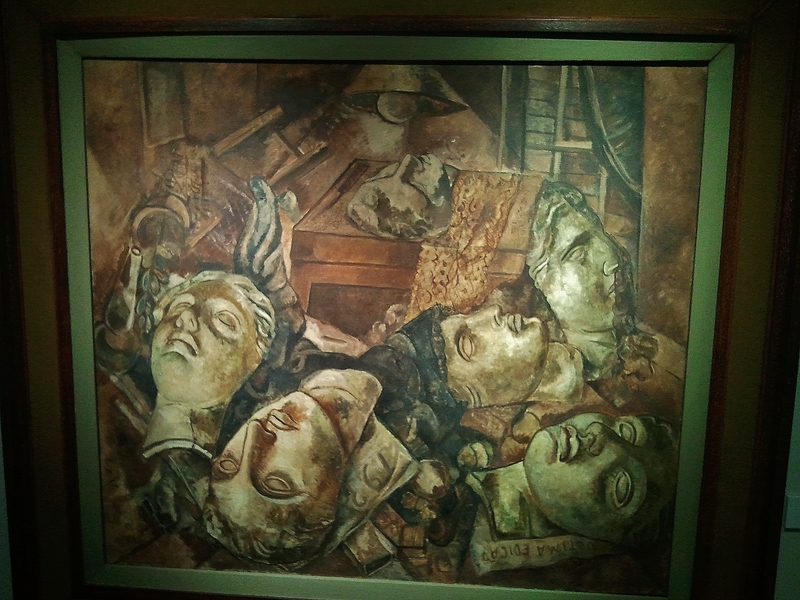 He produces paintings, drawings, photographs, and especially sculptures. The 3D work features furniture – tables, chairs, shelving – which by the simple expedient of upending or inclining he transforms into a disturbing commentary on contemporary life. 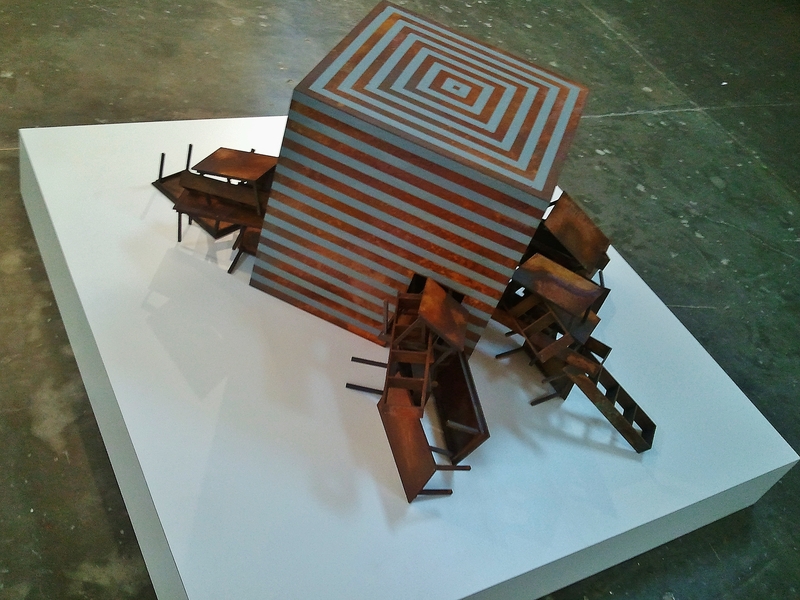 A maquette he showed was full of power and promise despite its size. 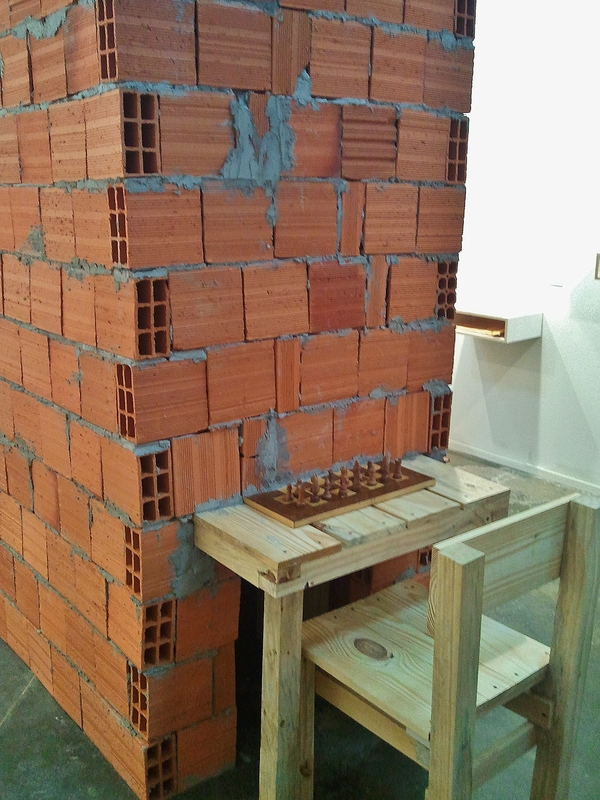 Daniel Murgel has been working with bricks over the last two years – the hollow clay brickwork from which favela houses are built – assembling them in 3D in the same casual manner. The solid wood furniture might well outlast it. 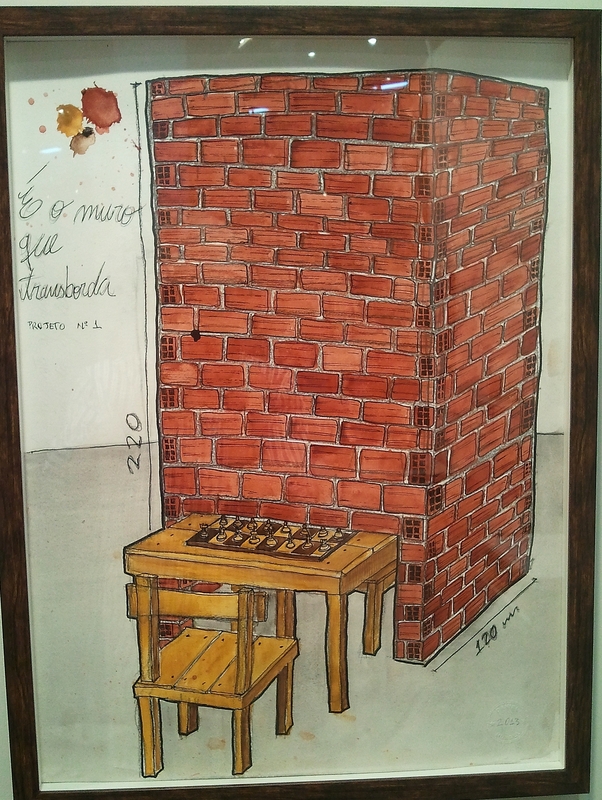 Also furniture spilling out of buildings, here the walls divide, preventing dialogue between the two sides of the chess game. A commentary on Brazilian society is discernible. Disturbingly, the complete chess game really is installed. The certainties of geography stand in sharp contrast. 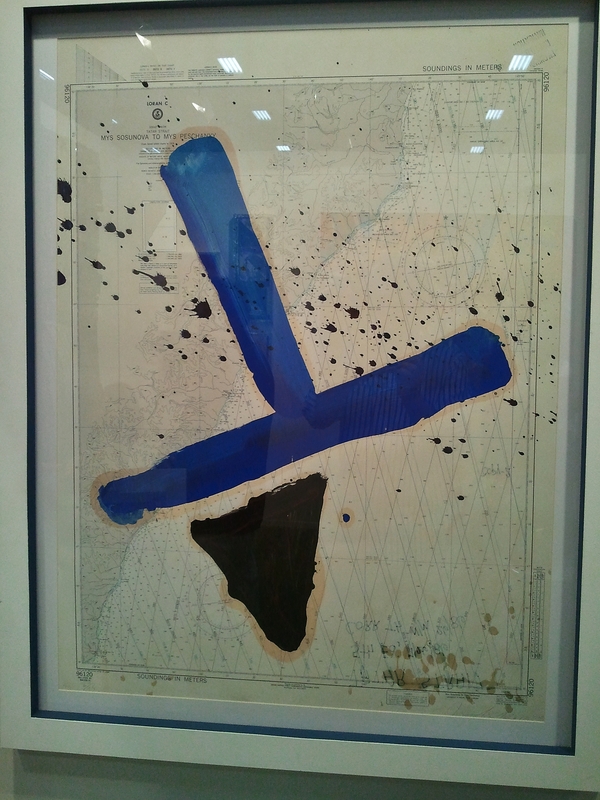 Julian Schnabel’s navigation chart with its bright blue trig point and elegant spatterings of black is beautifully calm by comparison – the gallery owner said he couldn’t resist buying it. Only when you discover that it shows the strait between Sakhalin Island and the Russian mainland, where Korean Airlines flight 007 was shot down, do you see a similar tension. 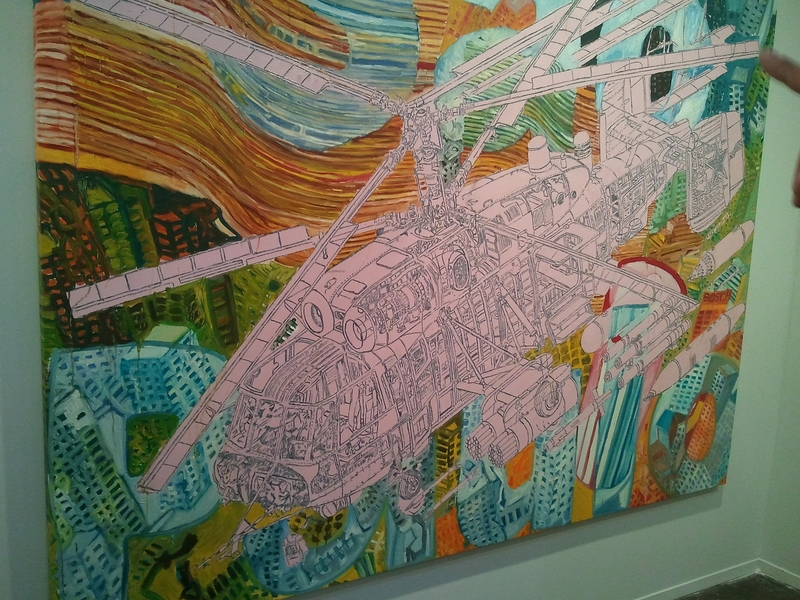 A homage to Sao Paulo, on the other hand, with its helicopter view of the Copan building http://theproverbial.org/2012/08/04/feijoada-copan/ a colour-by-numbers style, pop art lettering, and a pink gunship, seems to posit an exaggerated view. Life imitating art … click on the link below to read about the Brazilian police chasing a drug dealer through a favela by helicopter, gunning him down just as the painting suggests. Disturbance comes in many forms. Damien Hirst needs no introduction, and continues to walk the line between decoration and disturbance with aplomb. 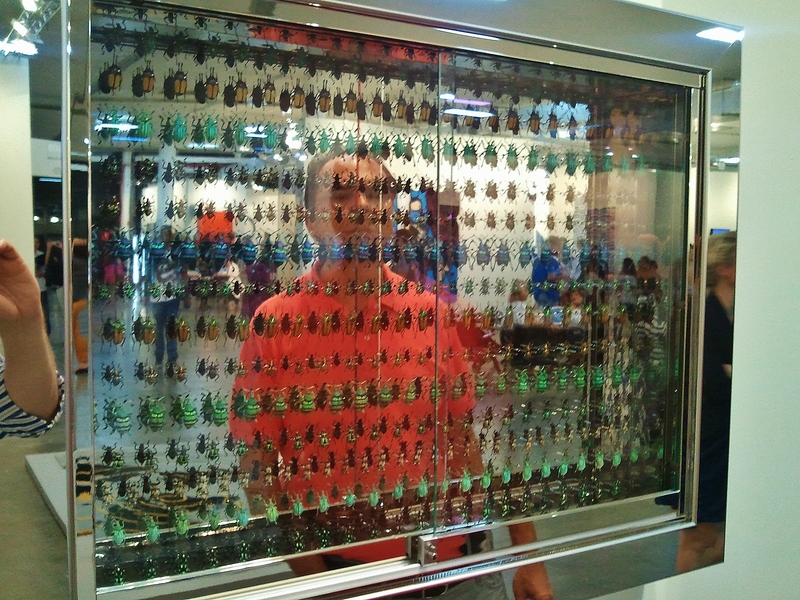 His collection of painted insects pinned in a mirrored cabinet toys with his usual preoccupations. The familiar spot paintings make their presence felt too. 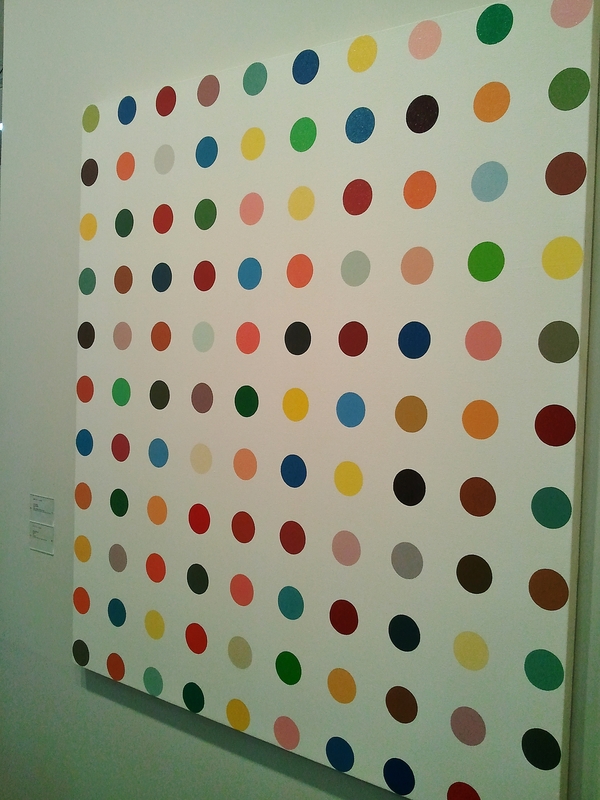 Is it Hirst or sp arte / 2013 which has ‘arrived’? 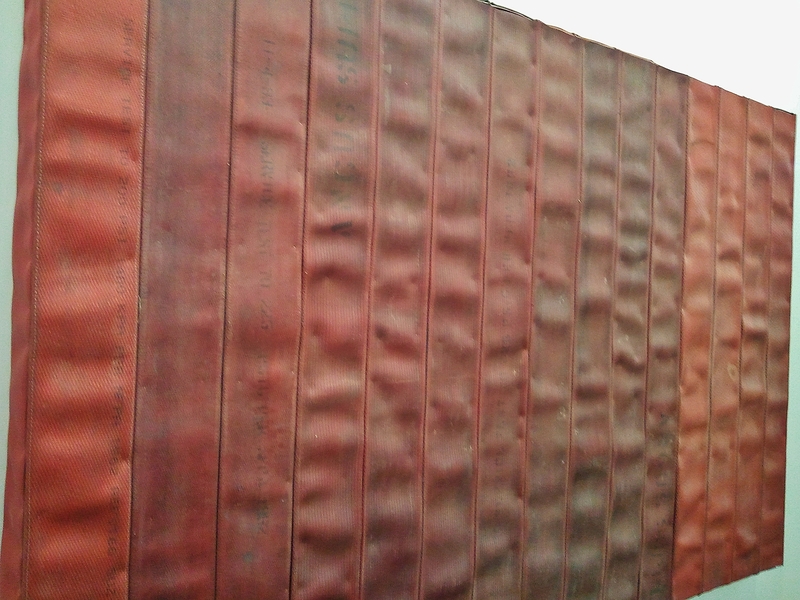 What a delight to encounter the work of Jesús Rafael Soto! An op artist and sculptor born in Venezuela who lived in Paris from 1950, he worked with Victor Vasarely and Jean Tinguely. 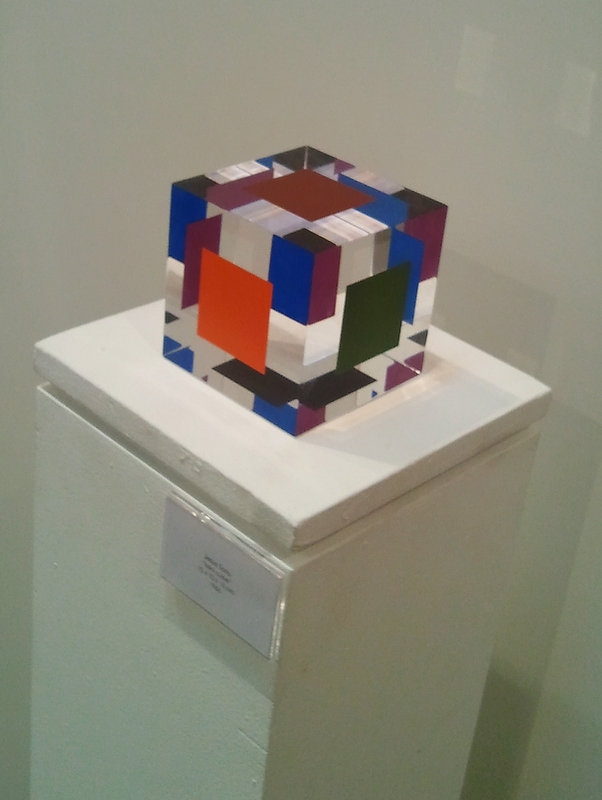 This small work was intriguing to the eye, as decorative as any Hirst or Vasarely, as playful and as seriously engaged with the materials and mainstream art of his time. James Concagh left Ireland and the UK many years ago to find fortune and favour in Brazil. An artist and teacher, he is thoroughly acclimatised to the Brazilian way of life – but note the title of his exhibition: Within a Narrow Landscape (Dentro de um Estreita Paisagem). 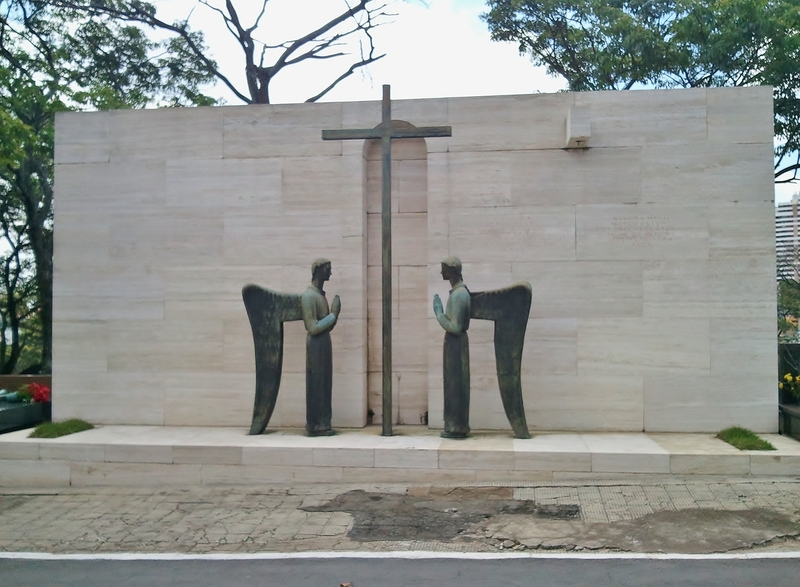 Paulistanos will recognise the description – Sao Paulo has undergone rapid ‘verticalisation’ in recent years. It feels like you’re living at the bottom of a cold concrete canyon here, especially on overcast days. The urban environment can take on a dystopian tinge. Concagh makes a study of urban textures and effects – rough plaster and wood, graffiti-scored walls, the coarse weave of the raffia bags used for commodities like sugar – incorporating them into pieces at first glance bleached or drained of colour, abstracted like the city itself. In his introductory text curator Gavin Adams uses words like ‘Kafka-ian’ and ‘Sisyphean’. The critic from radio station Alpha FM calls the show ‘existentialist’. It dates from 1994 onwards. First impressions of the show revolve around its theatricality. The plaster and wood pillars are beautifully placed and lit, the paintings exude a calm, meditative air. 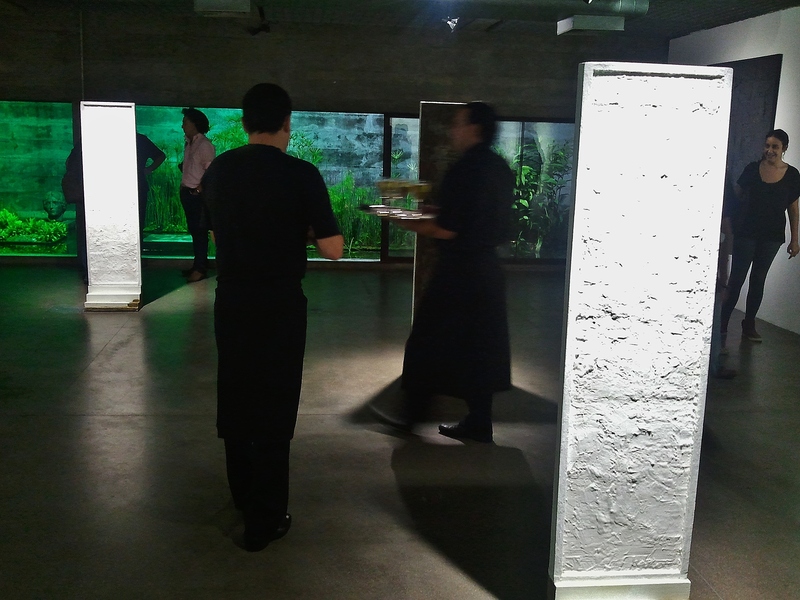 The L-shaped gallery, formed of raw concrete with a pool of giant carp and water plants behind a glass-panelled wall, match Concagh’s work closely. Adams and MuBE Director Renata Junqueira have created a sympathetic showcase. The halo effect of a MuBE show is considerable. 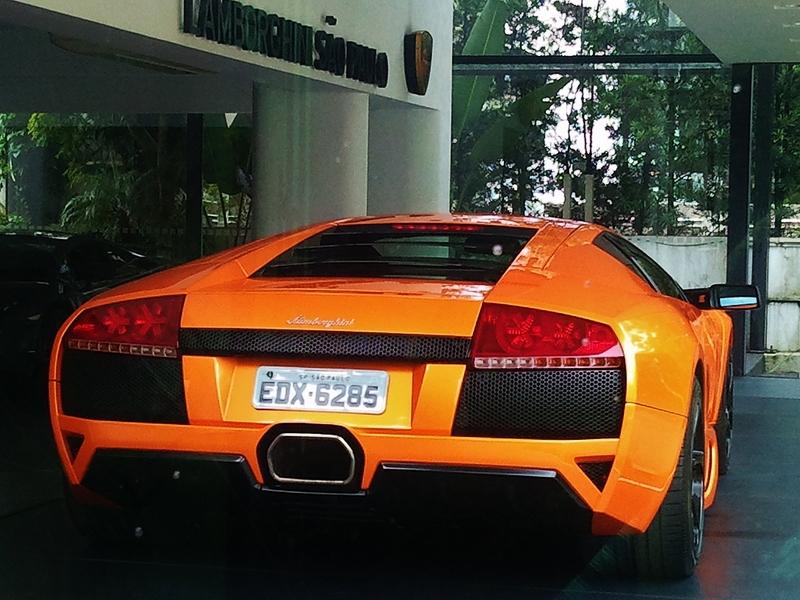 The Museu Brasileiro da Escultura is a prestigious gallery, as much at home on Avenida Europa as the Lamborghini dealership a few doors down. Its low, raw concrete bunker challenges and sets off the art on display outside – currently a commission of brightly-coloured temporary mural art catches the eye, in the same way that a burnt-orange Lamborghini stands out in a city where almost all cars are black, silver or white. I have mentioned before that passers-by regularly photograph these 3D objects. 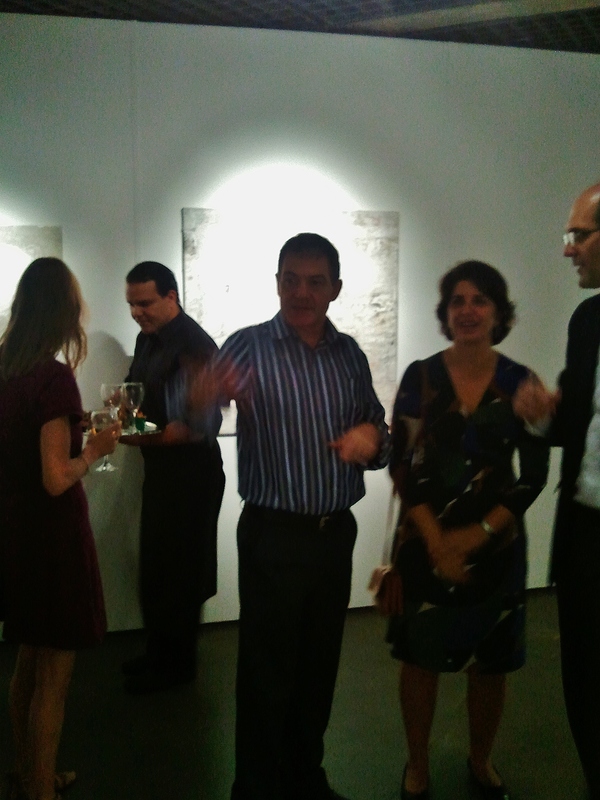 At the private view friends, family and fellow-artists and -expats congratulated James on the show. Though more subtle than the lacquer of a supercar, it’s not as miserabilist as the critics suggest – the panels are playful, with artfully-coloured toes at their plinths, the monochrome paintings are not really that, especially under gallery lights, and the multiple layers of some of the works are dazzling. Even abstraction dances in and out of view – James described one ‘white’ painting as the view from an aeroplane window, and suddenly the city was spread before me, its arterial roads and rivers laced into the ground, then obscured again by cloud. Flying in to Sao Paulo elicits a sense of awe which Concagh begins to capture. He’s put together a gripping portrait of the landscape he alludes to in the title, finding beauty and drama where one might see only drab grey constructed verticals. After his ‘white’ and his ‘raffia’ phases, I’m looking forward to seeing what he’ll turn his hand to next. His work is also available at Juliana Benfatti in Jardim Paulista. P.P.S. James hasn’t let the grass grow under his feet since this post was first published. A commission from CPTM, an urban transport organisation in Sao Paulo, is resulting in a new mural at the Metro station Dom Bosco in Itaquera, in the eastern zone of Sao Paulo. He is working with CPTM employees to execute the work.